Summary: If Nora Johnson hadn't been on campus that day she would have never known her true destiny. Helping her friends move into the dorm that she wanted to call home, Nora accidentally collides with mysterious stranger, Gavin Frey. His very first touch sends flames through her heart. The world seems different-something within her has changed. Nora tries to resume her mundane life, but she is now consumed with the one whose very presence ignited her soul, the one with eyes of emerald. Nora soon learns that an energy buried deep within has been unleashed. She now wields unimaginable power and has become Gavin's source, his strength. Her newfound joy is shaken when she discovers that Gavin is not who he appears to be and she has been thrust in the middle of a war of mythical proportions. Negativity has allowed all things evil to flourish, the earth is under siege. The fate of creation hinges on the power within her heart. Will she be strong enough to survive? Summary: Life for Nora couldn't be better; she has married the man of her dreams and loves living in the pristine land of Kailmeyra. About the author: I have my master’s in music performance and at one time considered a career in opera. My teacher’s heart wouldn’t stand for it though, and so we moved back to Kentucky and I found a wonderful elementary school that needed me; I’ve been there for thirteen years now. Books have been a part of my life for as long as I can remember, and I’ve always been a closet writer. Though it wasn't until recently that I found the courage to share my work with the world. 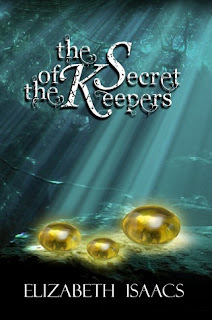 The Kailmeyra series will be complete in the spring of 2013 with the release of the final book, The Heart of the Ancients. I am so glad Elizabeth Isaacs made the first book in her series over three hundred and fifty pages. Why? Besides being able to enjoy her prose, I totally understood her story. Sometimes I feel rushed reading some of today's fantasy YA but not this time. I liked Nora, the main character of this tale. She is humble, honest, selfless, loving and strong. Her relationship with her foster mother, Edna, is refreshingly normal (yay!) and I was touched by Nora's decision to attend the local community college instead of going away with her friends, so she could watch over and help the woman who took her in when her own father walked out on her at eight. Nora's story is so wonderful because she not only narrates it, the descriptions of sights, sounds, smells and touches paint such a full and realistic picture my reading experience was enriched by it all. The fantasy elements were unique and I enjoyed the mystery of it all the author created for the reader. Again, no rushed conflicts to tie together point A to point B, Issacs weaved together her plot points with strong exposition and had me reading late into the night to discover everything. 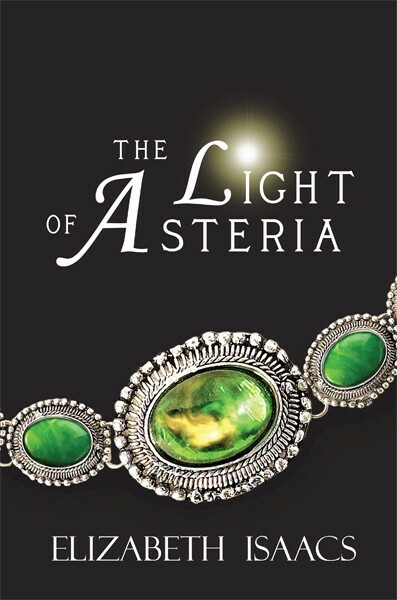 I don't want to spoil what the story is about so I will say I was pleasantly surprised by the revelations in The Light of Asteria. The distant at first Gavin captured my attention and only strengthened my admiration for both him and Nora. Their relationship is not ugly, eye rolling, or typical--what Nora and Gavin share is nothing short of lovely. The secondary characters from Edna to Elias and more, were first rate and strongly written. There is so much to like, to admire, to love about Elizabeth Issac's Kailmeyra's series and I can't recommend it any higher than I have in my review. Cover comment: I like it. This cover has a certain graciousness to it. I love an author that engages the senses in their writing. Nothing puts me into a story quite so well as that. I'll have to check it out!